Cape Town — South African energy giant Eskom has embarked on Stage 1 and 2 loadshedding, meaning that it needs to shed up to 2,000 megawatts nationwide, as it faces operational challenges, which includes the deterioration of coal fired power stations. The utility has been dogged by corruption and mismanagement scandals for a number of years, including dodgy coal deals with the Gupta family, close friends of former president Jacob Zuma, who were named in the State of Capture report by former public protector Thuli Madonsela. 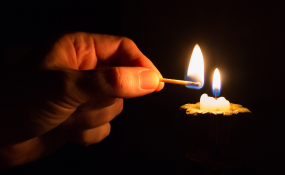 This is the first nationwide loadshedding exercise after many months and follows the publishing of Eskom's dismal interim financial results and their call for an increase in tariffs for consumers. The loadshedding schedule has been released to ensure that customers are informed of when to expect their electricity to be off.